ANSWERING BRIEF OF DEFENDANT IN ERROR. 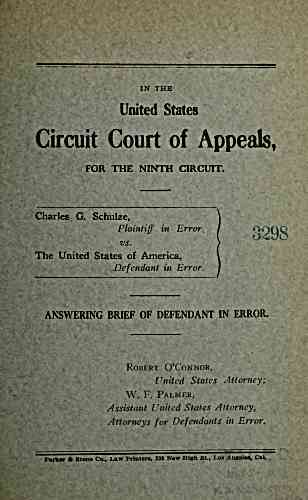 Attorneys for Defendants in Error. Parker & Stone Co., Law Printers, 238 New High St., Los Anselea, CaJ.